Making a Father's Day card instead of relying on a store bought card can show your dad just how much he means to you. 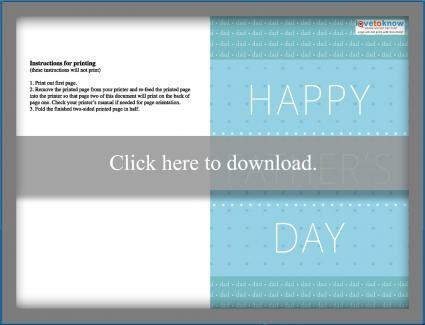 Make a homemade card or download a free printable option to surprise your dad with on his special day. If you're not a crafter, try printing a card instead. Download the card above or the one below by clicking on the image and then following guidelines for Adobe printables. You'll find that using white cardstock works best to create a card that can stand on its own with colors that print true. Each design comes with a saying that you can print on the inside of the card. After you print the cover, turn the cardstock over and re-feed it into the printer to include the saying. Alternatively you can skip this step and write your own saying or sentiment inside. It's easy to get the look and feel of this Father's Day card by using a number of different materials. Whether you prefer stenciling, stamping or calligraphy, use your favorite crafting skill to make this design your own. Lay the card stock down on a table so it lies horizontally. Locate the center of the card stock and set the ruler down on so it runs perpendicular to the center of the card stock. Make sure the ruler is straight. Press the back side of the butter knife on the card stock snug against the edge of the ruler and then pull it down the length of the ruler to score the card stock. Fold the card stock on the score mark to avoid creasing or cracking the paper as you fold. With the black pen, draw the shape of a tie in the center of the card, leaving at least one inch on either side of the tie and about 1/2 inch on the top and bottom. Moving at an angle from lower left to upper right, paint the interior of the tie in blue and green stripes. Use a rag or cloth to smudge or wipe away some of the paint after applying it to give the paint a slightly-distressed look. Let the paint dry. 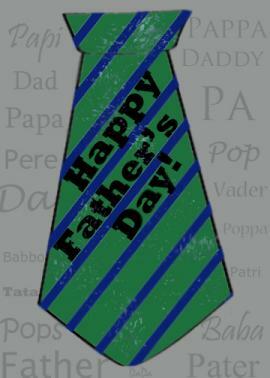 Paint the words, "Happy Father's Day!" on the green stripes so the words follow the angle of the stripes. Distress the paint very slightly; the key is to remove a little of the paint without blurring the letters. Let the paint dry. Use your choice of stencils, stamps or calligraphy pens to add different words for "Father" to the background of the card. Vary your lettering as you work to give the words slightly different styles. Let the ink dry and then add some text or a sentiment to the card's interior. The beauty of a handmade card is the ability of the creator to add different sentiments and expressions to the card. 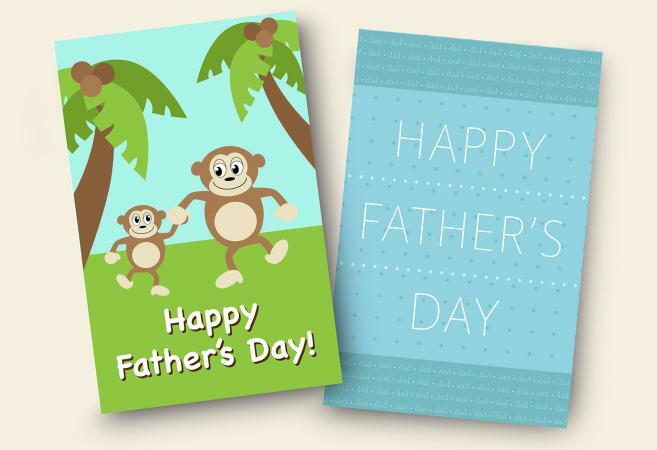 Whether you handcraft your card or print one out, you can embellish your card's interior with a few words for dad. Try including any of these sayings, along with a few personal words. If I had a chance to choose my father, I would choose you. Happy Father's Day to the man who always shows his children love. To the man that proves, again and again, that Father Knows Best. A father is a daughter's first love. Words are not enough to describe just what a father means. 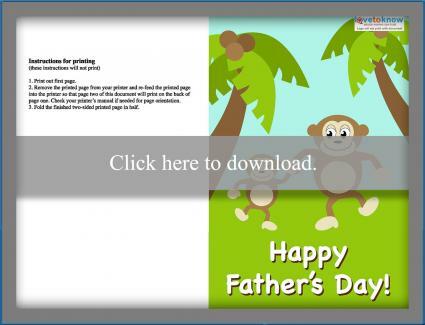 Father's Day cards offer a great way of expressing your love for Dad. This Father's Day, make him a card that lets him know just how much you care.